It is said that this bridge was built by Hideyoshi Toyotomi in 1594. 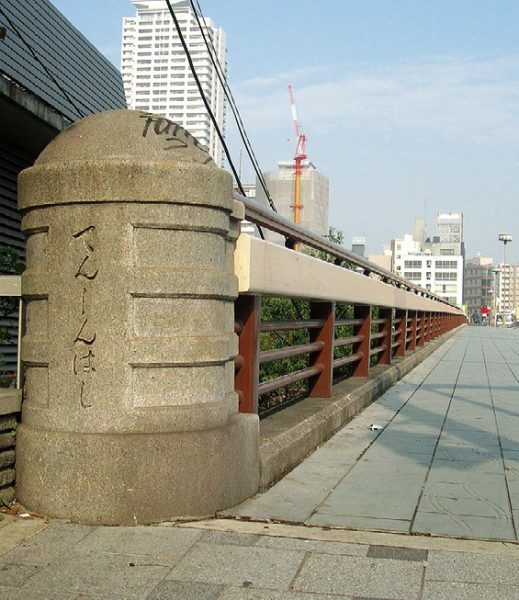 It was given its present name when it was under the control of the Tenma Tenjinsha shrine. From 1-chome, Tenjinbashi, Kita-ku to Kitahama Higashi, Chuo-ku. ●Subway: Sakaisuji Line: Kitahama Station (K14). Tanimachi Line: Tenmabashi Station (T22). ●Other: Keihan Line: Kitahama Station / Tenmabashi Station.